This month the giveaway basket includes products from Vaseline, Dove, Essie, Garnier, Carol's Daughter, Ponds, L.A. Girl and more! The Contest runs from now through 1/31/19, winners will be chosen on 2/10/2019 and notified by 2/15/2019. You can enter on their website! And then go to to their Facebook page and like us, then enter again to increase your chance of winning! Check out this serious swag from FreeBeautyEvents! You know I love a give-a-way and always look forward to sharing this with you! 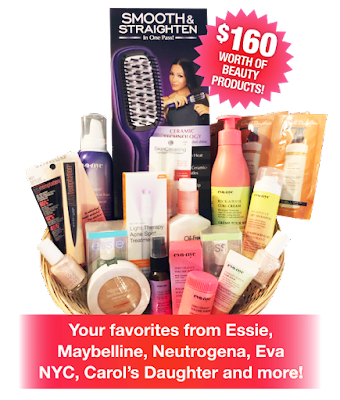 There's products from Essie, Maybelline, Neutragena, Eva NYC, Carol's Daughter and more! Go to their webpage AND Facebook to enter! And be sure to let me know if you win!! Good luck!!! Contest runs from now until December 31st! The winners will be choosen on January 10th and will benotified by January 15th. You guys know I love give-a-ways!!! Don't miss your chance to enter to win this goodie basket from FreeBeautyEvents! 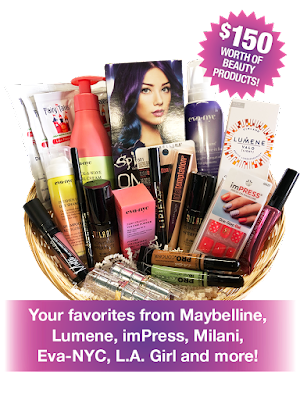 This months' basket includes items from Maybelline, Lumene, imPRESS, Milani, Eva-NYC, L.A. Girl and more! The Contest runs from now through 10/31/18, winners will be chosen on 11/10/2018 and notified by 11/15/2018. You can enter two ways: on their website and their Facebook page! And if you win, let me know!! Wow! Check out this giveaway from Free Beauty Events! 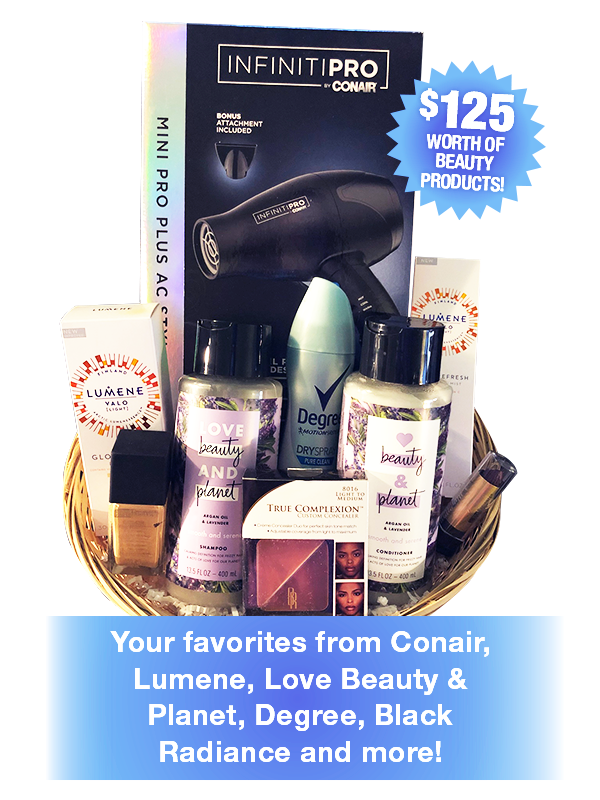 This month their basket includes products from Conair, Lumene, Love Beauty & Planet, Degree, Black Radiance and more! The Contest runs from now through 3/31/18, winners will be chosen on 4/10/2018 and notified by 4/15/2018. You can enter twice! Once on their website and again on their Facebook page! Good luck, and let me know if you win! OMG! 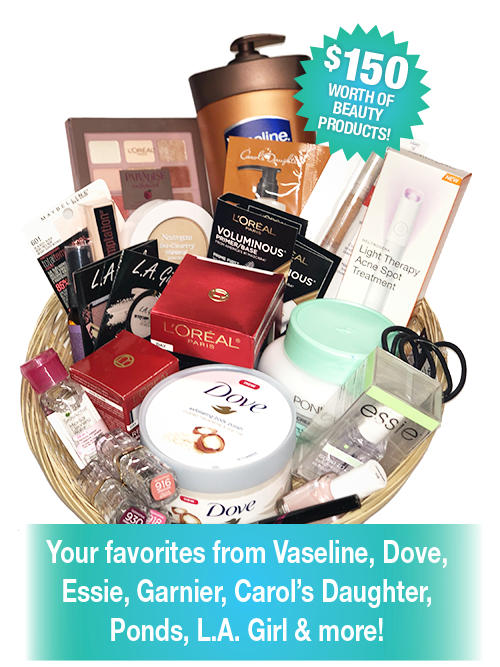 This has got to be one of the best Free Beauty Events giveaway baskets!!! 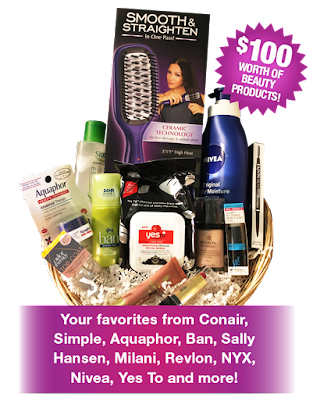 I have seen the Conair Smooth & Straighten and have wanted to try it for myself. So many great goodies here! I'm entering this month for sure! This month our basket includes products from Conair, Simple, Aquaphor, Ban, Sally Hansen, Milani, Revlon, NYX and more! The Contest runs from now through 2/28/18, winners will be chosen on 3/10/2018 and notified by 3/15/2018. Go to their Facebook page and like them, then enter. You can also enter their our website. That's two chances of winning!! 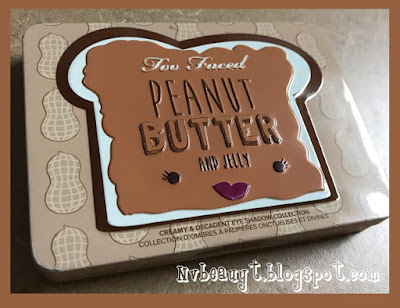 It's not too late to enter Free Beauty Events monthly giveaway!!! 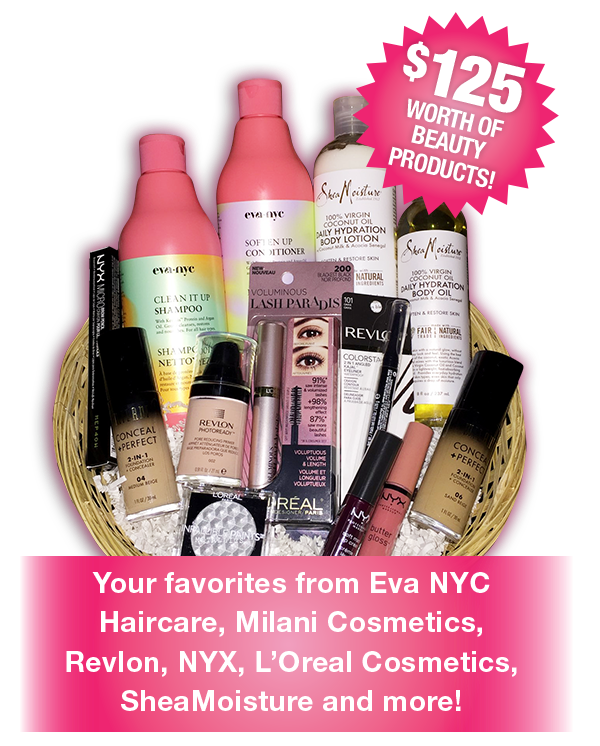 This month the basket includes products from Eva NYC Haircare, Milani Cosmetics, Revlon, NYX, L'Oreal Cosmetics, SheaMoisture and more! The Contest runs from now through 1/31/18, winners will be chosen on 2/10/2018 and notified by 2/15/2018. Check out their Facebook page and like Free Beauty Events, then enter to win on our page. You can also enter on their website! I'm so excited to let you guys know about this giveaway! You've got a small window to enter so don't sit on this! I'm most excited to see the products from Lumene in here as they are one of my favorite skincare brands! 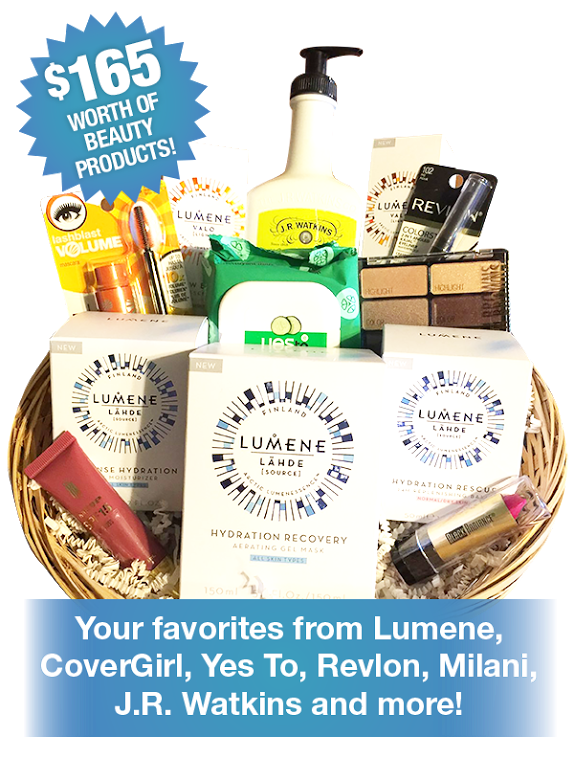 "This month our basket includes products from Lumene, CoverGirl, Yes To, Revlon, Milani, J.R. Watkins and more! The Contest runs from now through 12/31/17, winners will be chosen on 1/10/2018 and notified by 1/15/2018." Check out their Facebook page and like, then enter to win on their page. You can also enter on their website! It's really easy! You can also use their website to find free beauty events near you! The next warm tone eyeshadow palette I want to talk about is the Too Faced Peanut Butter & Jelly palette! I traveled to Brazil last summer and took this with me! It's small size, mirror, and color/finish selection made it a perfect choice to take. The mirror inside could be bigger, but it gets the job done. I also love the smell of chocolate of the shadows...I don't pick up a big peanut butter scent in this. The scent is different from the Chocolate Bar palette but similiar. I love every color in this palette. There is a great mix of finishes in here too so you have everything you need to make a complete look. 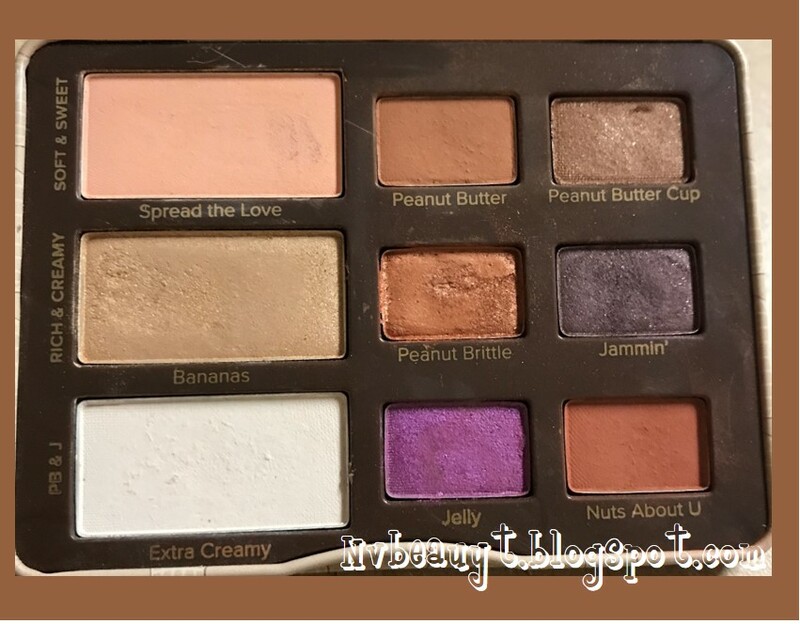 Nothing bothers me more than a palette that doesn't have transition colors!! As you can see from the pictures below these colors are warm and beautiful! Some of them did require that I go in and swatch more than one layer to show full pigmentation. 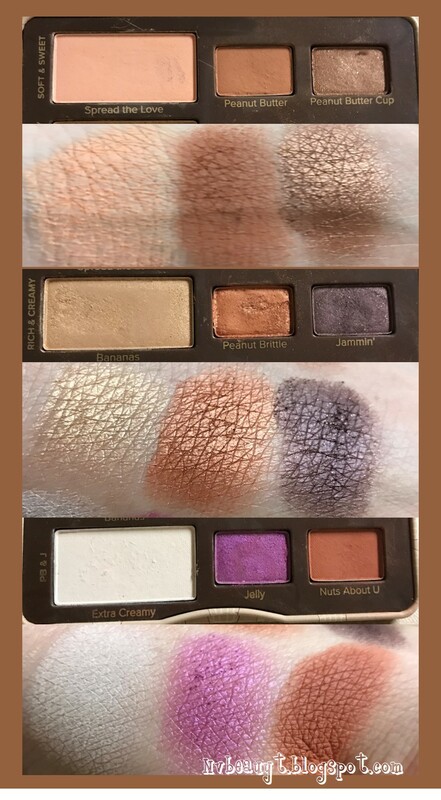 These shadows aren't the creamiest to the touch, but they apply wonderfully on the eyes. 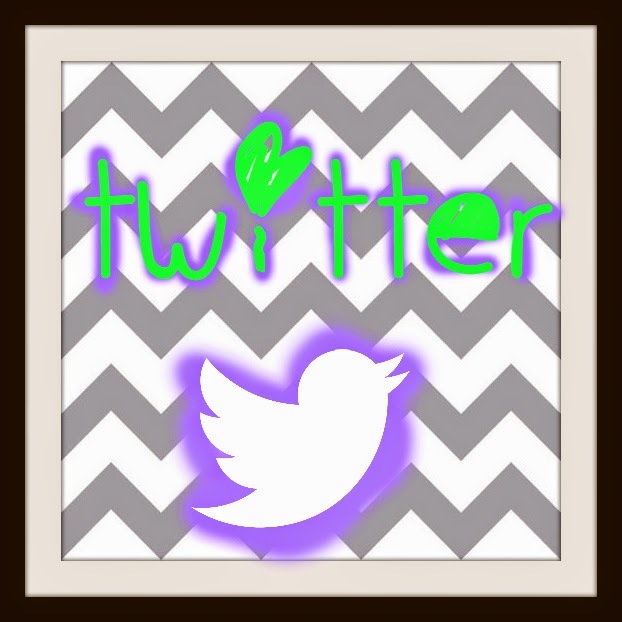 Make sure you follow my blog so you don't miss future posts! What's your favorite color in this palette? What other warm tone palettes do you think I need to try? Write an awesome beauty blog? After being so inactive here on the blog for sooo many years, I am trying to get back into the swing of things. 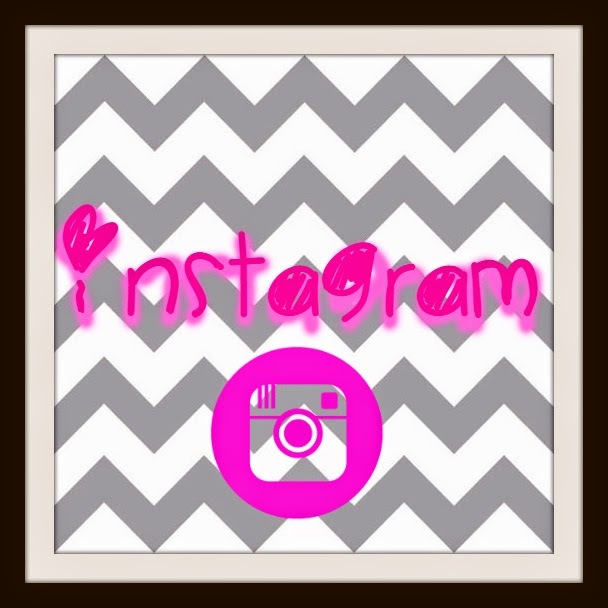 I hope you've checked out my last two posts and enjoyed them! I really love blogging and missed it so much! 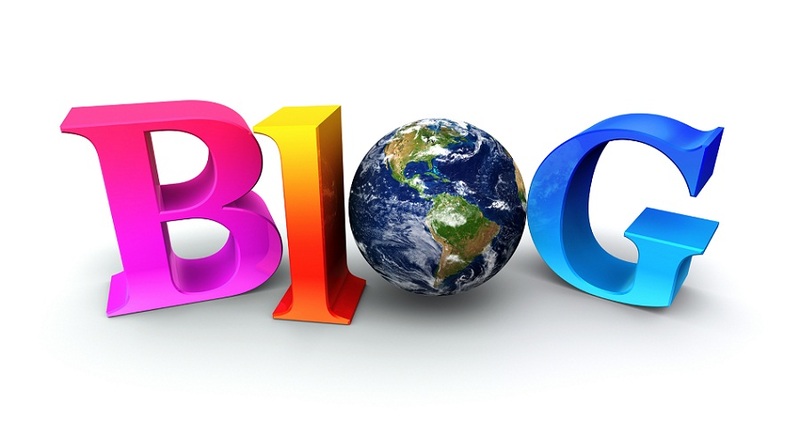 I went through my reading list and noticed most of the 200 blogs (wow!) I was following have either been deleted or have been inactive for years and years. So I decided it was a good time to start fresh! I unfollowed all those blogs,except one (we'll come back to this in a minute). 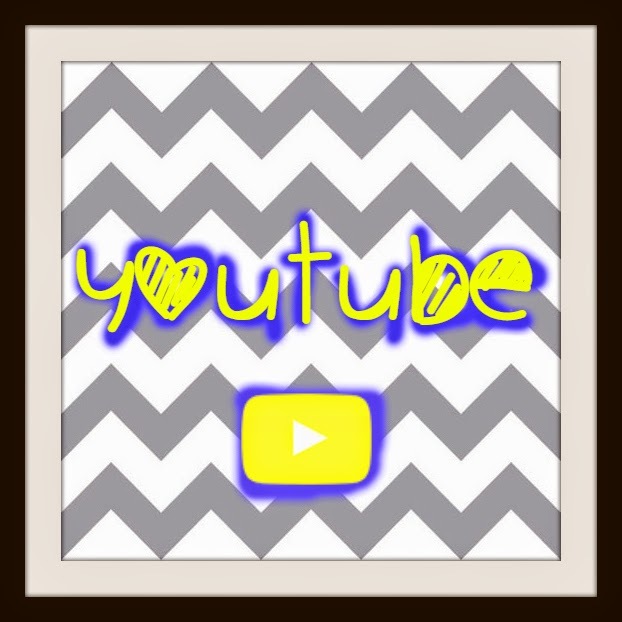 So if you write an awesome beauty blog, I'd love to check it out and support each other! Leave your blog in the comments below and I will check it out! As a teacher, you know I love summers! Especially since we recently welcomed our 4th child, and 1st son, just a few weeks ago! Summer time also means that I have time to blog! I miss it a lot and am going to try to start posting a lot more content here. If you have any requests, please let me know in the comments below! Let's get to it! Warm tone shadows, which are my favorite year round if I'm being honest. Warm colors have been my hands down favorite for years. So this week I'll be posting each day one of my favorite warm tone/summer palettes! Here's the first one! This is my smaller Sephora Zpalette. (Side note: I will not be purchasing anymore Z palettes due to their founder's recent comments on Instagram. Google it if you want the disgusting details.) You can see that some of the colors look similiar, but their finishes are different. 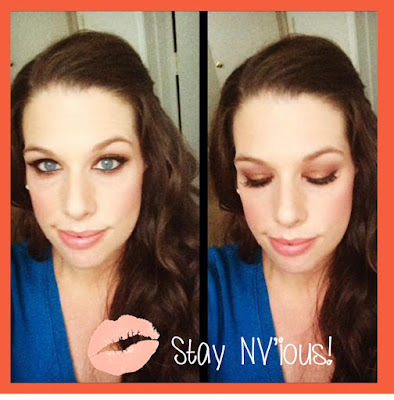 Any "true makeup lover" will tell you that they are different! 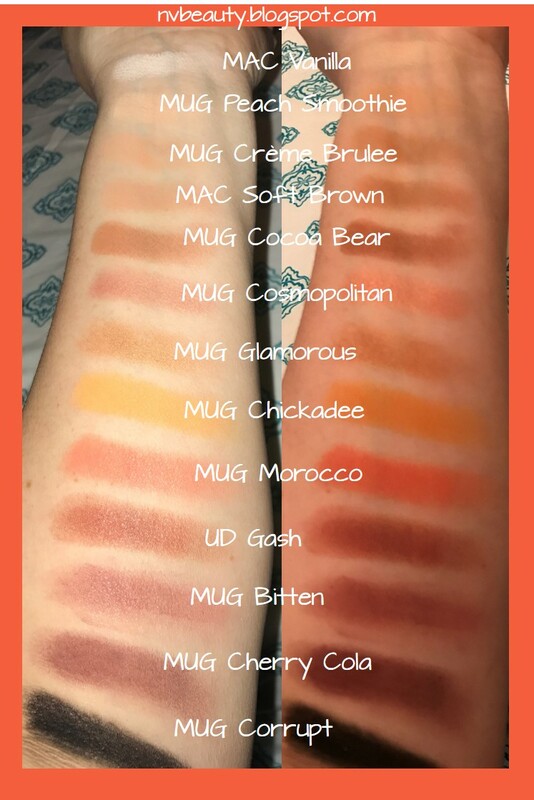 The swatches on the right are with flash and the ones on the left are without flash. I feel like the flash really washes out the picture. 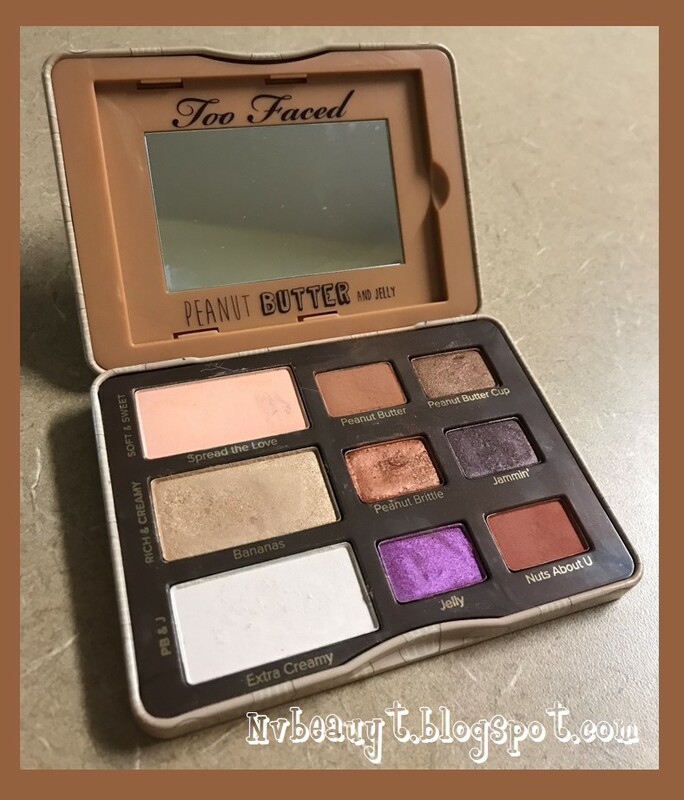 I can make so many looks with the palette and I have a lot of fun trading out pans with my other Z palletes to create my perfect custom palette! Somehow I forgot to swatch MUG Poppy--but it's amazing! 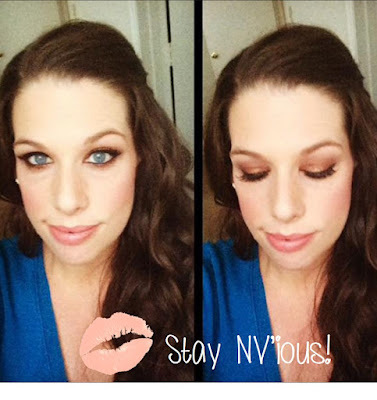 You can get the color in the pan on your eye or use less for a lighter wash of the color. 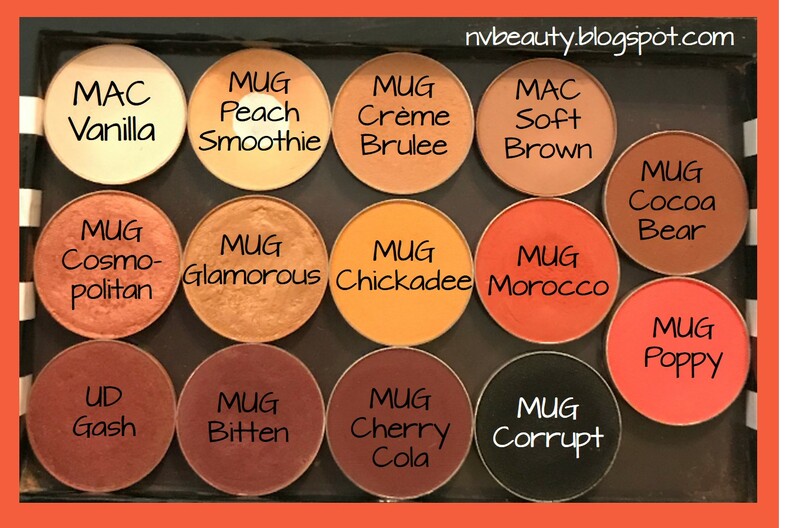 The MUG eyeshadows were hands down were the most creamy to the touch with a few exceptions. 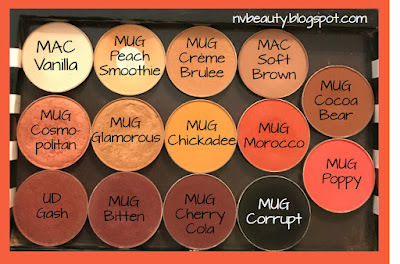 Corrupt, and Cherry Cola aren't as creamy as the other MUG shadows, but they are still very pigmented and blend well. They just take a little more product to be fully pigmented. My MAC shadows in here are getting pretty old at this point and I am trying to use them up this year. I have others in another palette that I'm also trying to get through. I had to swatch Vanilla several times to get it to show up in the swatch. My Urban Decay shadow is also getting pretty old too. I had to swatch it several times to get it to show up also. It's a beautiful color, but I won't be repurchasing it. Same goes for the MAC shadows too. I just don't think the quality is that good compared to what else is available on the market today. Makeup Geek shadows are amazing! I would also like to try the Colour Pop pressed shadows too. And I still have yet to try any Coastal Scents Hot Pots, which I've heard you can get for .99 on sale! If you have any that you would recommend, let me know in the comments.